Here’s everything you need to know about paramedic training in WV, as well as taking the NREMT and becoming state certified. ·You will need to be 18 years old. You will also need to be a high school graduate or have your GED. · You will need to have your EMT certification. If, for example, you apply to Blue Ridge Community and Technical College, you will need to supply a current EMT-Basic card from either the National Registry, West Virginia, Maryland, or Virginia. · You will also need to have proper CPR certification. · Immunizations are certainly required (due to clinical rotations). You’ll likely need to go through a criminal background check and/or drug screening, too. Written references may be required as well. · You will want to make sure that whichever paramedic training program in WV you select is an accredited program. Where can I find an accredited paramedic training program in West Virginia? Do I need EMT experience to apply? Typically, you don’t need EMT experience to enroll in a paramedic program, but it’s often encouraged by program directors because students with prior paid or volunteer experience can sometimes excel faster than those without it. All paramedic courses are a bit different and vary college to college. But, typically, you can expect to pay anywhere between $1,000 and $10,000 for a quality and thorough paramedic training course. 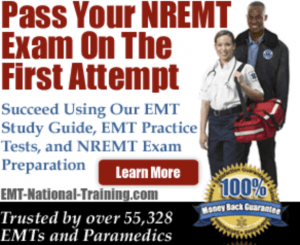 After you successfully complete the required paramedic training course, you will want to pass the National Registry of Emergency Medical Technicians (www.nremt.org) exam. This is both a computer adaptive test (cognitive examination) as well as a skills test (psychomotor examination). · Successfully completed an approved EMT-P training course following the DOT National Standard Curriculum. · Successfully complete both the written and practical examination with a score of 70% or higher. · Possess current WV certification as an EMT-B. · Possess a current CPR card. · Be affiliated with a West Virginia Licensed EMS Agency. · Apply for certification using the Interactive EMS Certification Application. After completing payment online, you will be presented with a fingerprint voucher. Take this voucher to an authorized background check provider and complete the background check process. · Submit copies of current drivers license and CPR card to the Office of EMS.